East Coast Meerkat Society - Meerkats Rule! Vickie works in sterling silver and gold, see examples below. We can put you in touch with Vickie. 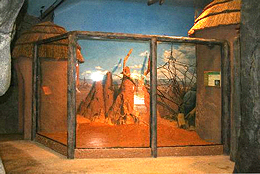 in our zoos and those who research meerkats in the Kalahari desert. 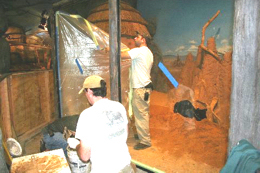 The first project we took on was to raise the funds to rebuild the meerkat enclosure at the Staten Island Zoo, NY, one of the smallest and oldest zoos in the country, a beautiful jewel of a place, with their meerkats in an enclosure that was far from ideal. 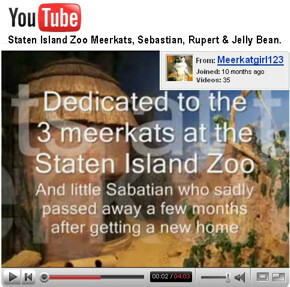 the beautiful new Staten Island Zoo meerkat enclosure was dedicated Sat., Sep. 29. 2007, see photos in right column. Why the name "East Coast Meerkat Society"? and decided that everyone is on the east coast of something. This website is created using free, open-source applications. If you wish to be on the ECMS email list, fill out the information below. We will not give your name or email address to others. » Master Meerkat has set up a chat room for the East Coast Meerkat Society where you can keep up with people and meerkats, add your thoughts, comments, click here to go there. in sand, digging, burrowing, and totally enjoying their new enclosure will live on with many of us. The Staten Island Zoo received eight new 2-year-old meerkats. They're beautifiul! hiatus before beginning to film Season 5, but their wait "for a few months" has stretched into several years. We know there were contract disputes and internal fights over ownership and distribution control. Such a shame, as Meerkat Manor was far and away Animal Planet's most popular and successful television series, and we cannot believe they would not keep it going. We'll see. ECMS Board of Directors members, Mary Xanthos and Jess Macintyre. devoted to talk about meerkats. of Sebastian. Click here to watch it. 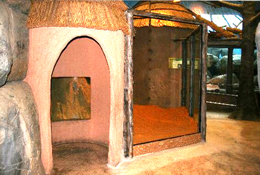 enclosure at the Staten Island Zoo to Flower. 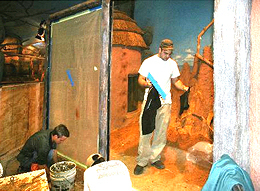 Saturday, Sep. 29, 2007, with a ceremony dedicating the enclosure to Flower. 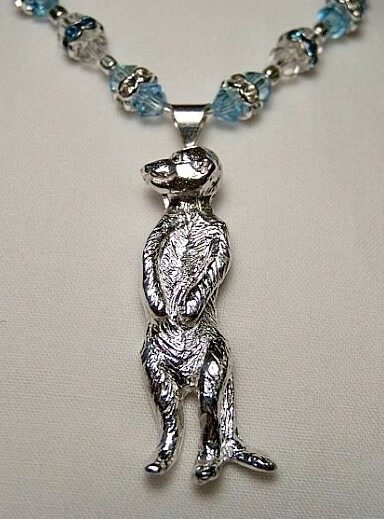 auction to benefit our Staten Island Zoo meerkat makeover project. » Where we meet. East Coast Meerkat Society (ECMS) people hang out at two online forums. general audience follow and discuss the Meerkat Manor series. let us know, we will post a link to it. 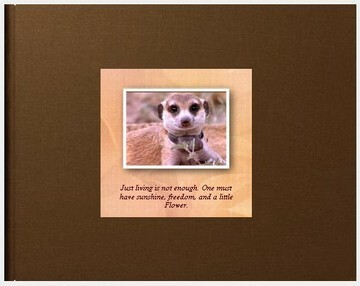 Email friend@meerkatsrule.org. Flower's Memorial Book -- "Remembering When"
book online without charge, click here. Picaboo and receive a 30 percent discount. 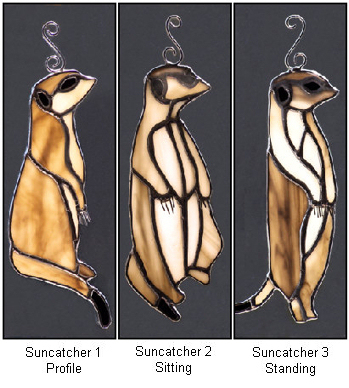 by East Coast Meerkat Society member, Ohio artist Herbee O'Connell. 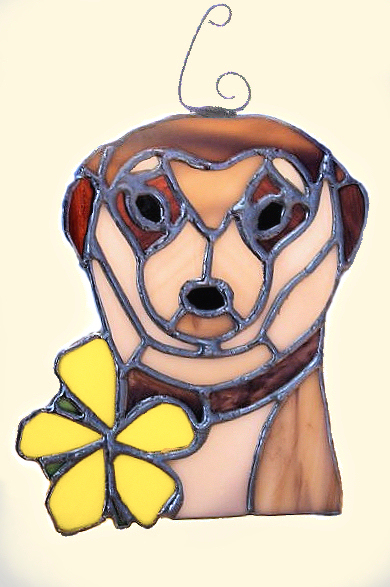 A work of love, a memorial to the meerkat named Flower, matriarch of the Whiskers family. In meerkat terms she was the dominant female of the Whiskers mob. Flower died after being bitten by a snake. Her passing was a terrible shock, for so many loved her so much. Flower was the heroine of the Meerkat Manor television series that introduced many of us to meerkats. It was watching her live, forage, love, play, bear young, fight to defend her territory, her work in leading her family, maintaining the tight family discipline needed to survive in the harsh Kalahari Desert, Africa, that taught us to care so strongly for these little creatures. An extraordinary work, 34 stained glass pieces, handmade, numbered and signed, created to honor Flower. purchase anything, please contact us at the phone number or email address below. no matter your age, or what coast or country your burrow is located in. To join or ask questions, email or phone us. East Coast Meerkat Society is an informal group sharing a passionate interest in meerkats. We raise funds to better the lives of meerkats and the researchers who study them. 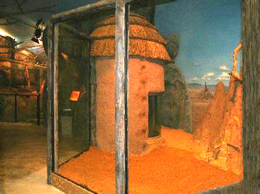 Above, the new Staten Island Zoo meerkat enclosure. Click here for larger versions of above, several are videos. Click here for videos of the Three Amigos digging. Click here for videos of Sebastian standing guard. Click here for current news stories about meerkats. Click here for new photos, videos about meerkats. OR ANY ANIMAL IN ZOOS. The East Coast Meerkat Society exists to help meerkats and the zoos that care for them. In our heartfelt desire to better the lives of these endearing creatures, we understand it can be tempting to want to criticize or pressure zoos in hopes of generating action. We have found this to be counterproductive. Our policy is to work behind the scenes, quietly, in partnership with zoos, in order to achieve the best possible outcome for their animals. Public rebukes of zoos and the individuals who work there are a sure way to shut down the helpful dialog that we have found is the only way to get meaningful changes instituted that help the animals. We prefer to work cooperatively with zoos as allies, rather than adversaries. Striving to support zoos and their people in working towards a common purpose of bettering the lives of captive meerkats is the "modus operandi" of the ECMS. If you wish to let us know about a problem with a zoo, or a way in which we may be able to help meerkats in a particular zoo, please let us know though a private e-mail or phone call. This will best enable us to begin quiet work to positively engage the zoo and effect the desired changes. on the Discovery Channel's web site. courtesy Bob Kurtz, Staten Island Zoo Curator. 2008-2009 Desk Calendar "Flower - Her Story"
Queen of the Kalahari Desert. a 2008-2009 version, sold that out also. and the Staten Island Zoo meerkats .